China’s construction steel rebar prices gained more ground on Wednesday to trade near last session’s 10-1/2 month high on expectations of lower supplies following the country’s crackdown on pollution and higher demand. The most active rebar on the Shanghai Futures Exchange finished up 0.4 percent at 4,017 yuan ($592.80) tonne. On Tuesday, the market hit a high of 4,033 yuan a tonne, its strongest since early September. “Steel demand had come down a little because of the rains, but I think we should see recovery in demand as rains have died down,” said Cao Ying, an analyst at SDIC Essence Futures. The environmental ministry said on Monday it had extended monthly air quality rankings to 169 cities from 74, in order to add pressure on local authorities as it intensifies its campaign against air pollution. The top steelmaking city of Tangshan was named as the worst place for air quality in the new list of 169 cities in June. Tangshan ordered steel mills to start a six-week production cuts from Friday. 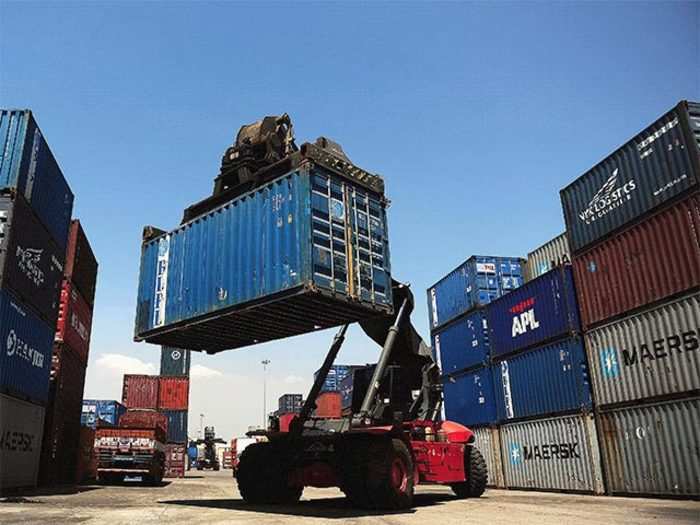 Stockpiles of steel products rose 29,500 tonnes to nearly 10 million tonnes on Friday from prior week, according to Mysteel data, indicating a tepid demand in the summer season. 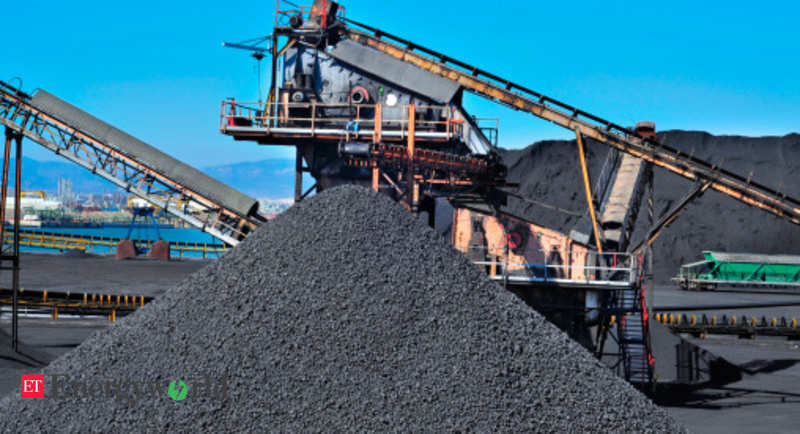 Steelmaking raw materials rose with strong gains in coking coal, which jumped 2.4 percent to 1,197 yuan a tonne. 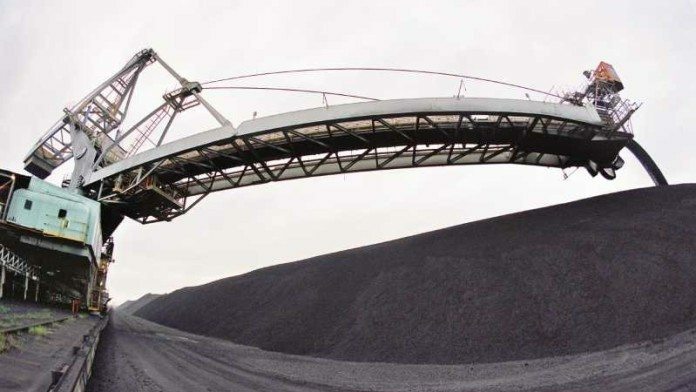 Iron ore added 0.3 percent to 476.5 yuan a tonne and coke rose 1.7 percent to 2,141.5 yuan a tonne. 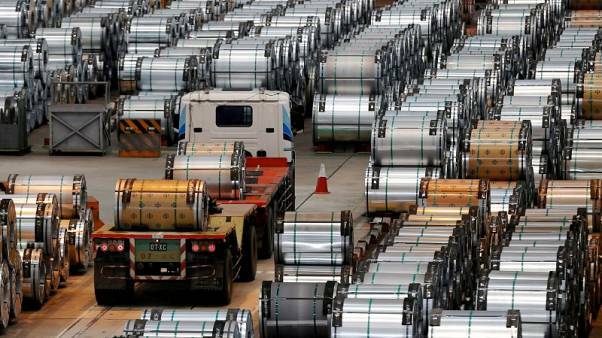 In news, a Canadian trade panel on Tuesday said China, South Korea and Vietnam had dumped cold-rolled steel coils and strip into the domestic market and had thereby injured the domestic industry.